Matrix 2x2 twill weave fibreglass fabric. 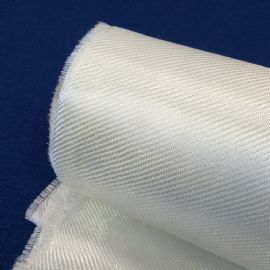 Twill allows for 'drape', but is therefore less stable. 1 metre wide. and in 5 or 10 metre long rolls.